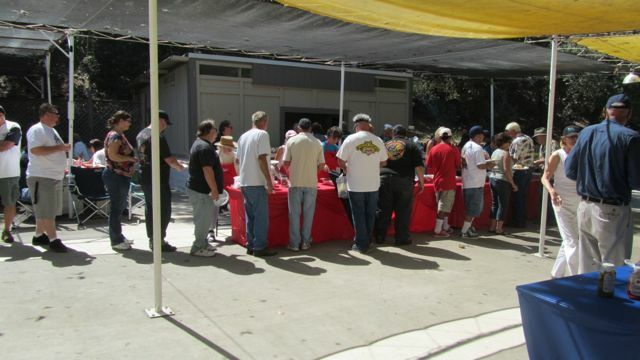 The 36th annual Outrider’s Picnic is this Sunday at Irvine Lake. Thanks to Walt in recent years, I have attended everyone and previously where no tickets were required, I attended in Newport Beach. 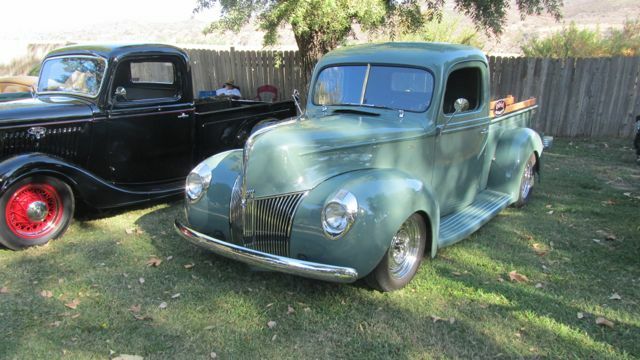 This event brings out many old timers as well as some new folks. 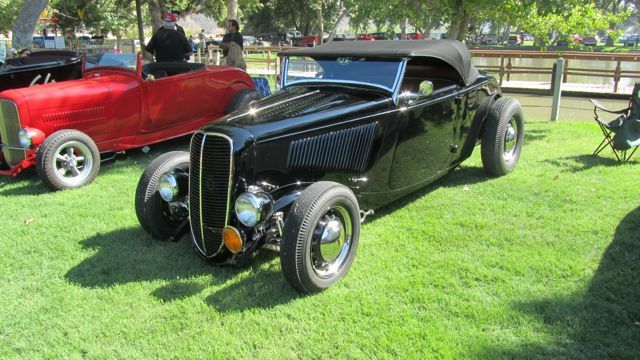 The exclusive club has been around since 1932 and its members have always had some of the nicest Hot Rods you could hope for. 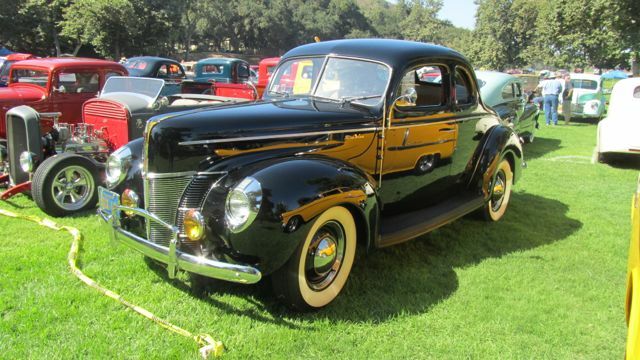 The members cars are parked where you can inspect them and see the quality of their cars. The event requires a ticket purchased from one of the members to gain entry and enjoy a wonderful try-tip dinner with all the trimmings cooked and served by the members and their wife’s. The food line is long but the excellent music and raffle keeps your mind off the wait. It really goes fairly fast. 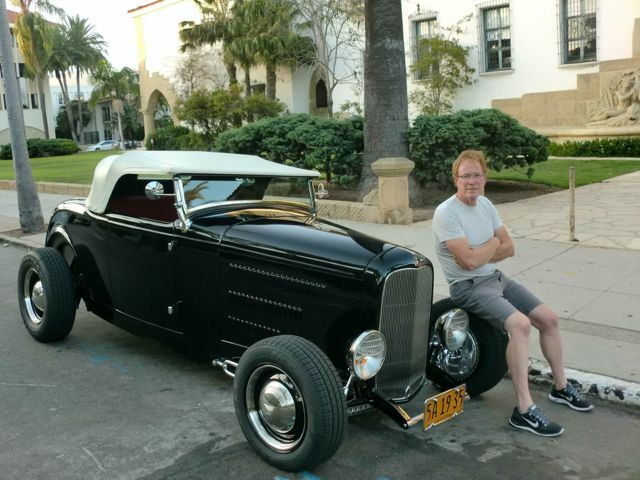 Notable celebrities are always present representing the Whose-Who in the Hot Rod Community in Los Angeles. Adult beverages and sodas are flowing all day and the weather is usually very hot at Irvine Lake. 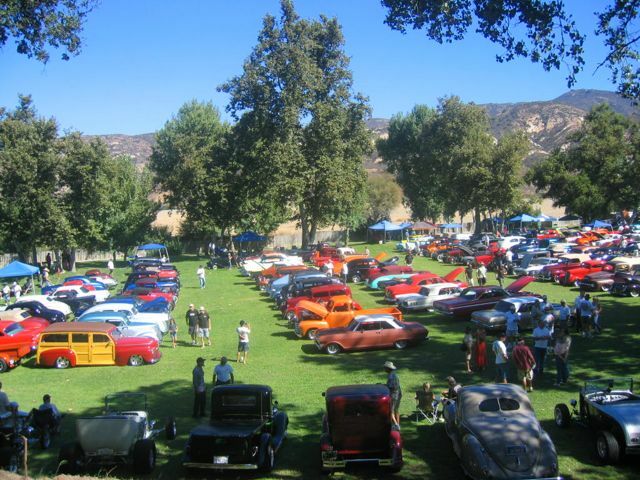 Jane and I go our own way and look at all the cars (400+) that are displayed on the grassy lawn under some nice shade trees. 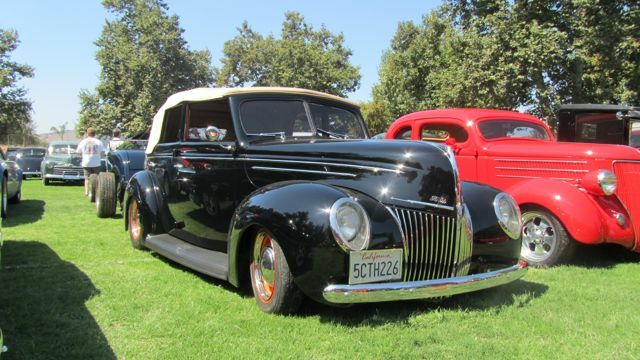 Unlike many shows today, this show is predominately pre-48 Fords which is our favorite models to view. Seeing old friends and cars plus making a few new ones makes the event one of the best to end the season. We travel over a hundred miles to the event in some of LA’s worst traffic, but it is always worth the effort to Jane and I. This year we will have some of the Back Road Boys in attendance for the first time. If you can find a ticket from a member, be sure to not miss this prestigious event. 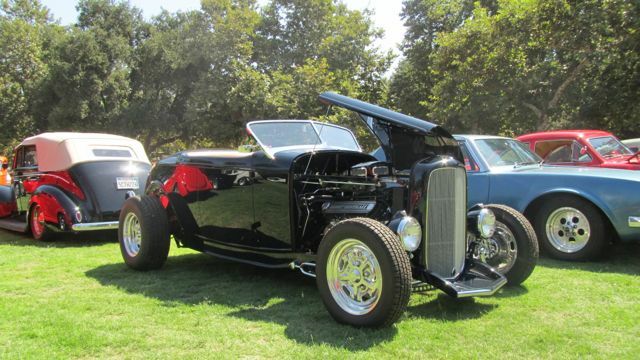 Brizio built and perfect is this Deuce roadster owned by Ken Partch of Santa Barbara. Sid used to own this beauty a few years ago. 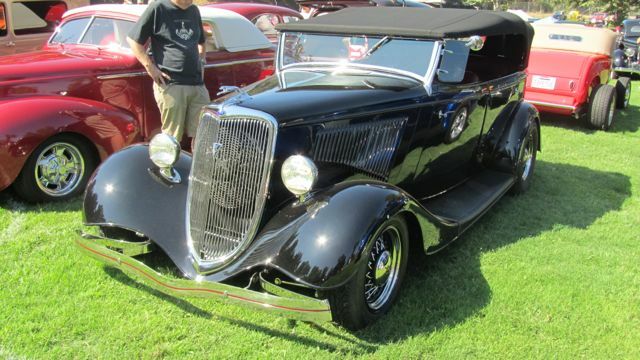 Ford powered as many Brizio roadsters are. Ken keeps it pristine. Lunch time comes quickly and the line moves along while the music plays. The people are enjoying their selves and loving the day. 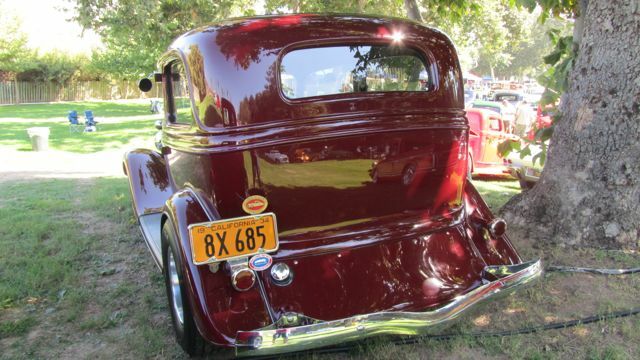 The setting is picturesque with cars located on the grassy area surrounding the lake. 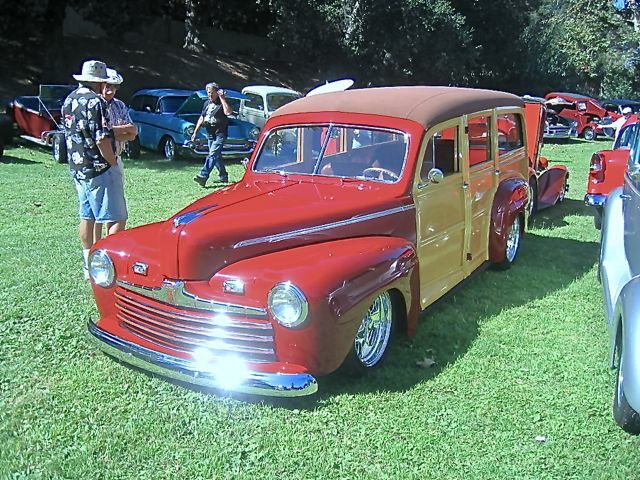 Warming up for Wavecrest, there are always lots of Woodies at the show. 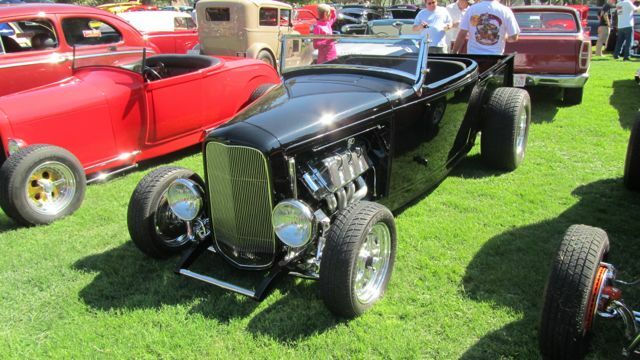 Michael, an Outrider member, used to own this Dan Fuller built roadster. Reed built cars always shine at this event. Maybe Brian will join the lineup this year. I do love the Fat Girls with their tops up or down. One of my favorite 40 pickups is this CMG beauty with side boards. JR’s Moal built Deuce is one of the best. 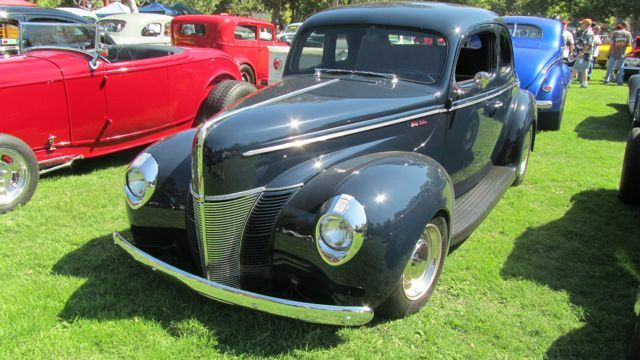 A tribute build to his best friend, Mike Marin, who passed away while building the car. 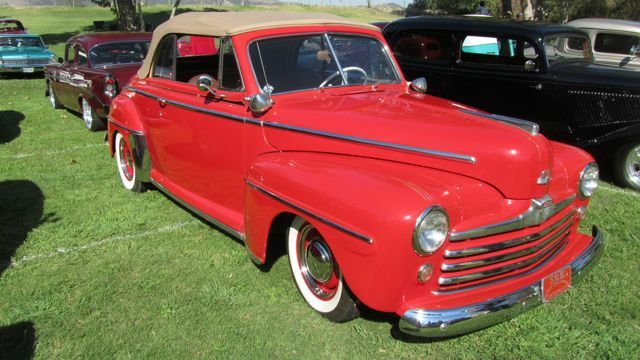 Fat Jack built this 39 convertible sedan and it’s still number one with me. 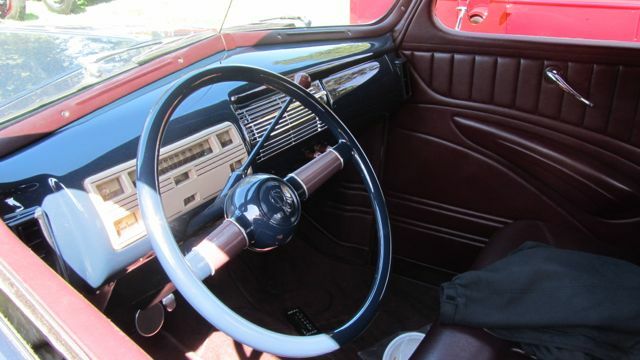 I love the stock looking 40 dashes combined with a Gabes interior. Appearing almost stock on the outside, yet providing a smooth road car to reach the event. Yes, you may see “Old Dad’s” roaster in attendance just as he left it. 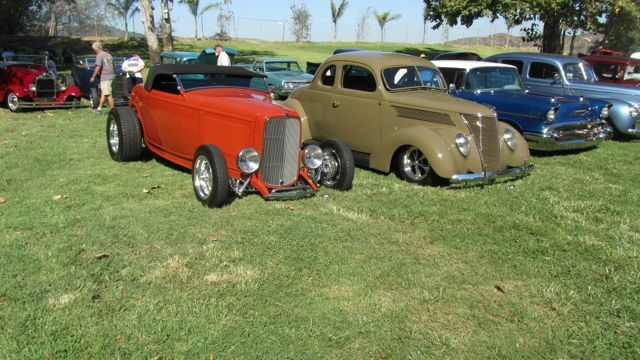 What a legend Gray was to the Hot Rod Community! 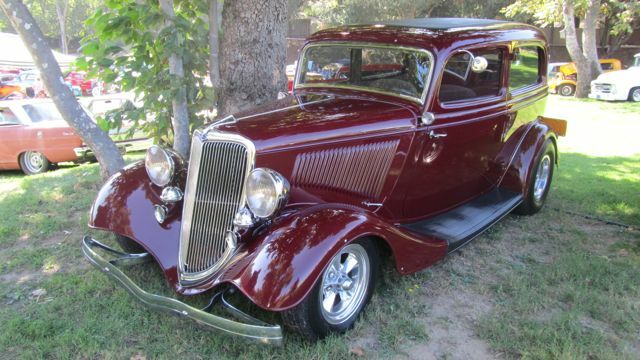 Reid Lillard built one of nicest sedan in the eighties only to leave us to soon. The new owner brings the car every year for me to drool over. Old Boyd cars show up bringing back memories of my days with Boyd. 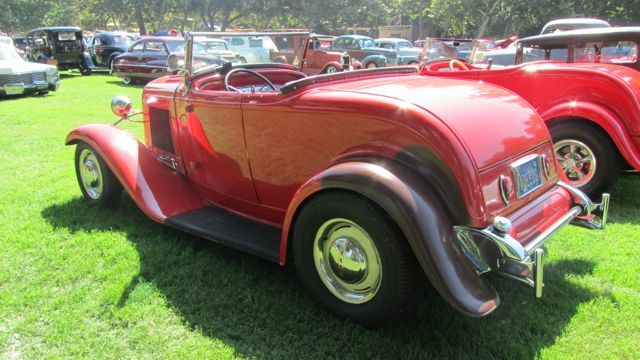 This fellow also had a similar roadster built by Boyd. The first of the Brookville RPU’s built by Ed Sich will be in attendance with his mega Boss engine, excellent fit and finish and highly detailed example. 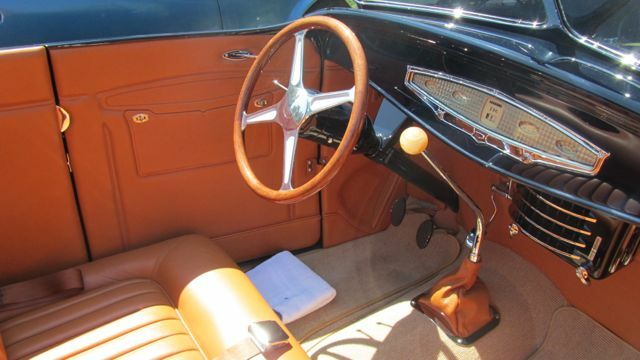 Jim drives his 34 Phaeton while he waits for Ryan to complete his 40 Woody masterpiece. 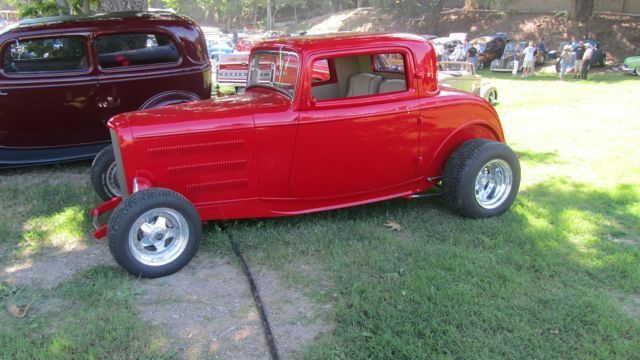 Last is a bone stock mint 40 coupe which belongs in everyone’s garage.